Is that a gloom map? The last sshot is a new reboot. The first 3 sshots are pure netradiant brushwork, with ase walkways, the transporter is also a model. 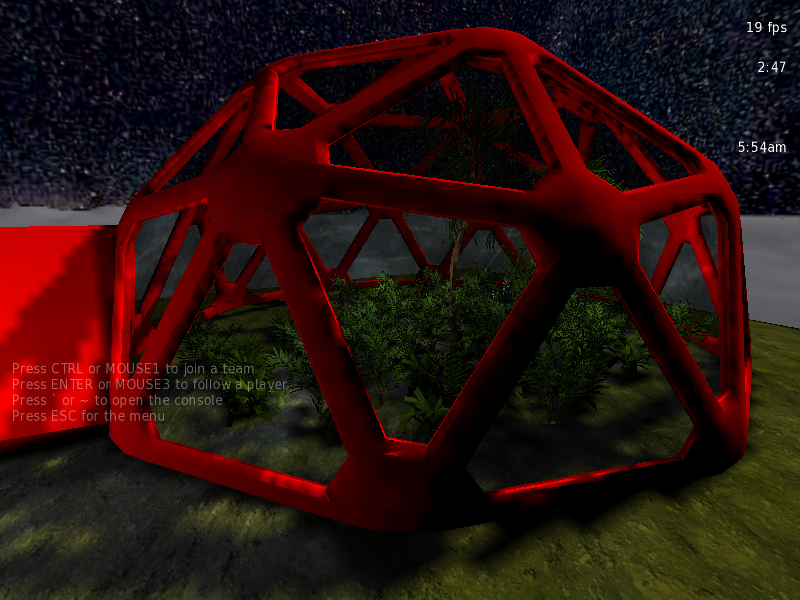 Well...Finally got blender exporting correctly to the engine/radiant. 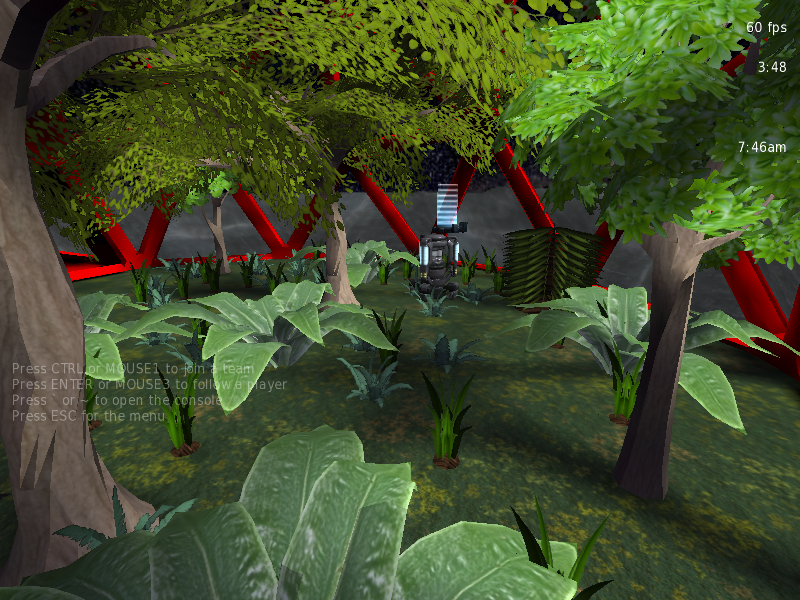 Need to reexport the trees - they were 25k faces and looked nice but it was overkill, and took hours on q3map. 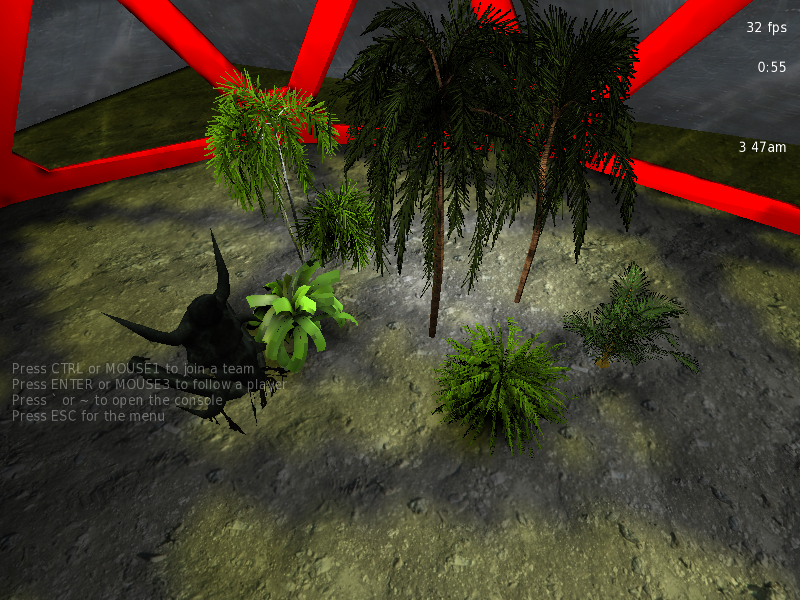 HOWEVER, nice sun shadows etc. Models are not set yet to cast shadows. However, they do GET shadows. Annoying that when you look at the trees, my fps goes from 120 to 20. Even with the cut down models. Any ideas to speed it up? And this is the origonal treepak. 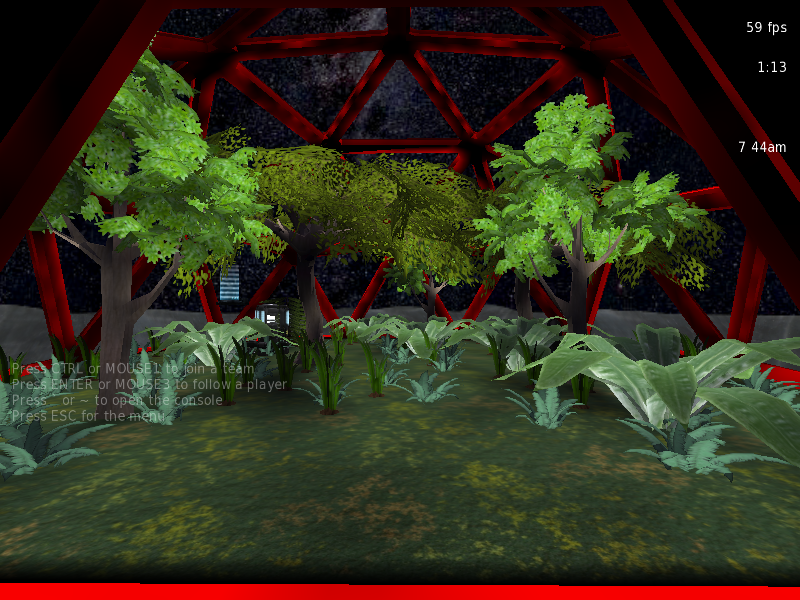 Yes, those are ingame renders. 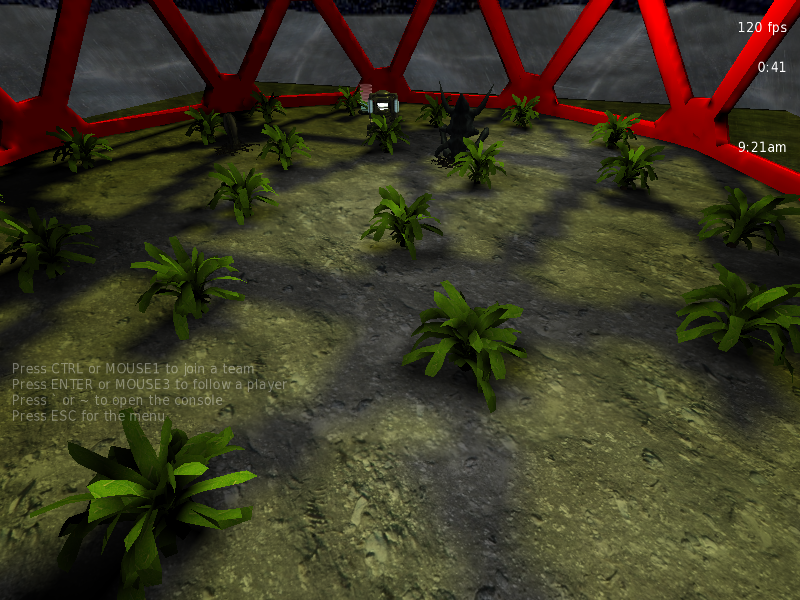 Plants cast and get shadows. Yes, definitely simpler models. Cheating by using transparency is encouraged here! OFFEND! … no, that's not right… ATTACK! 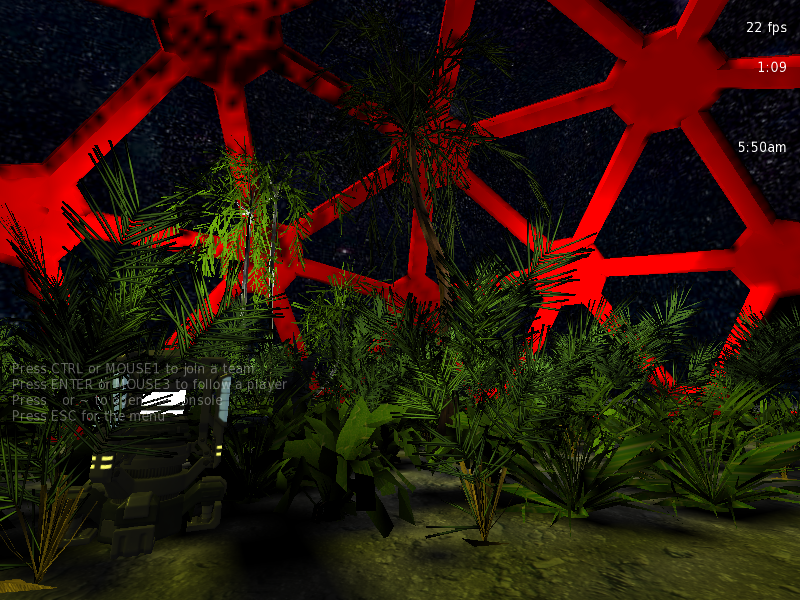 I've finally shot the shaders talking, shadows being cast and taken, fixed sky, and new low poly spam plants. Note this is a fast vis only, the tree trunks will smooth out. The only light is from the sky, however if you put a light under a tree it will cast onto the ceiling. Look at that Telenode fly!